Back of house, with redwood deck and outrageous oak tree. Lower door goes to small unfinished basement with old but working washer/dryer. 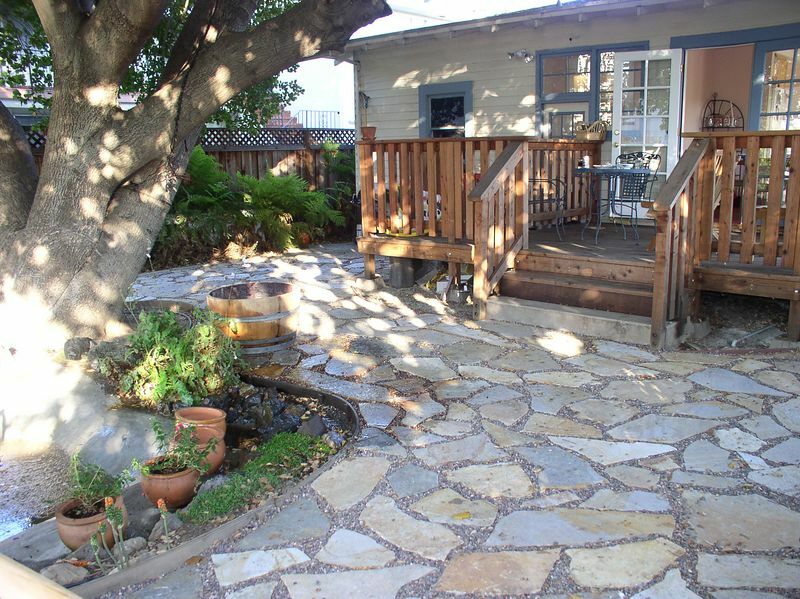 Behind the shaded/flagstone area, the (deep) back yard has a lawn area with lavender, more flowering shrubs, and a very productive lemon tree.